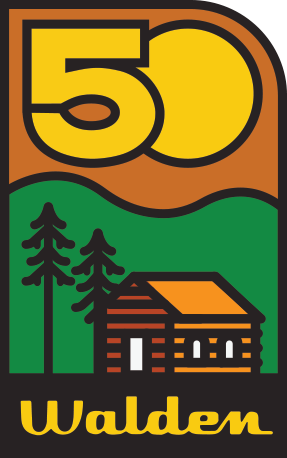 Come back to camp for the weekend of September 20-22, 2019 for the culminating celebration of Walden’s 50th Anniversary! All 19+ current and former campers and staff are welcome. Look forward to a weekend of delicious meals in the dining hall, sleeping in your old cabin, a Sing Song in OMNI, open activities, hanging out on the Swim Docks and reconnecting with old friends while enjoying Walden. We are purposely not over-programming! The main focus will be chilling with friends. Arrive on Friday between 5:30-8:30. The first food being served is “Staff Snack” in the CL at 10 pm! So please enjoy a hearty Bancroft dinner on your way to camp! Try your best to arrive before dark. Depart on Sunday before noon. Adult Beverages: We will be serving on Saturday night. Feel free to safely enjoy your own beverages from home throughout the weekend. OD will not be on duty.